Present-day fringe theorists often cite the case of Galileo (1564–1642) as proof that they’re right and the authorities are wrong. It’s true that Galileo was constantly in conflict with the intellectual establishment of his time, and that history has proved him to be on the winning side on all the big issues. The Earth really does move around the Sun, and heavy objects really do fall at the same rate as light ones. 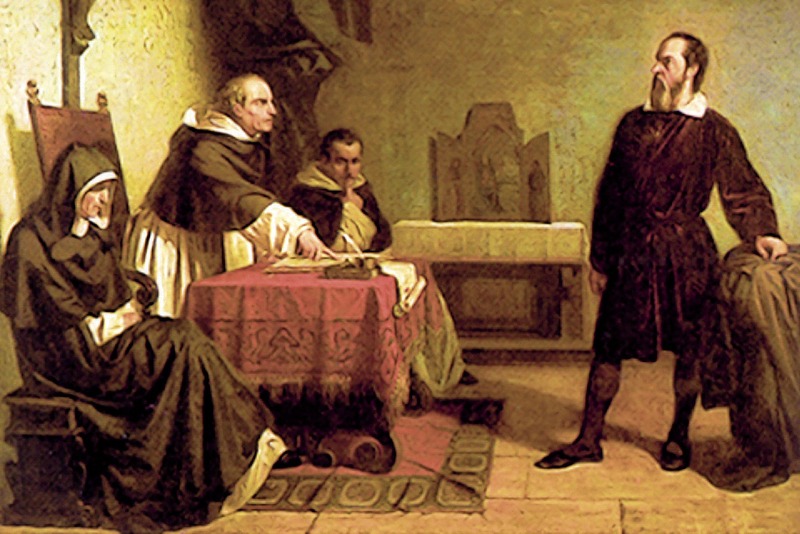 But is Galileo really such a good role model? Unlike the armchair scientists and internet cranks of today, Galileo didn’t always get it right. To start with, it’s worth dispelling a couple of tenacious myths about Galileo. The first myth is that he set out to disprove the Bible. In fact, it’s clear from his Selected Writings that he had no problems at all with the Bible: “Holy Scripture can never lie or be in error... nonetheless some of its interpreters or expositors can.” All of Galileo’s arguments are aimed not at the Bible but at the Greek philosopher Aristotle—who was held by the Church to be second only to the Bible in authority. Galileo used the Biblical story of Joshua, where God caused the Sun to stand still in order to lengthen the day, as evidence that the Aristotelian earth-centred model is wrong, and the Copernican sun-centred model is correct: “This passage of scripture clearly demonstrates the impossibility of the Aristotelian and Ptolemaic world system, and on the contrary fits perfectly well with the system of Copernicus.” Galileo argues (correctly) that making the Sun stand still in the Aristotelian view would actually shorten the day, not lengthen it (since the length of the day is set by the Primum Mobile, and the Sun moves backwards relative to this). What you actually need to do is freeze up the whole Solar System. Galileo had observed the Sun to rotate on its own axis, and believed (wrongly) that this rotation was the source of all the motion in the Solar System—hence he argued it was this rotation that God halted in the story of Joshua. 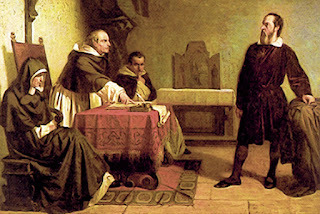 Another myth-conception is that the Church prohibited Galileo from writing about the Sun-centred theory, and that his ‘crime’ was to defy this prohibition. Actually, the Church encouraged him to write about the theory... as long as he ended up debunking it, or at least showing that the truth couldn’t be proved one way or the other. What he was prohibited from doing was offering any concrete proof that Copernicus was right and Aristotle was wrong. But that’s what he did, and that’s what got him into trouble. The hilarious thing (and now I’m finally getting to the point of the article) is that Galileo’s proof was rubbish. At the time, no-one knew what caused sea tides—Galileo’s fellow Copernican Kepler believed they were due to the influence of the Moon, but Galileo dismissed this as mystical mumbo-jumbo (“Of all the great men who have speculated on this marvellous effect of nature, the one who most astonishes me is Kepler... he had grasped the motions attributed to the Earth, and yet he still listened and assented to the notion of the Moon’s influence on the water, and occult properties, and similar childish ideas.”) Galileo was convinced the tides were a direct result of the Earth's motion, in the same way water sloshes around in a vase when you move it. But Galileo was wrong about this... and he was wrong about the Moon having nothing to do with the tides! You might think that, having upset the Irish nation last week by suggesting that St Patrick was British, I’ve now lurched on Boris Johnson style to insult the Italians—by pointing out the single occasion on which Galileo made a mistake. But it’s worse than that... he made another mistake as well! Galileo believed that orbits had to be perfectly circular (again, this was a disagreement with Kepler). This created a problem in the case of comets, which are on manifestly non-circular orbits. Galileo’s solution was to dismiss comets as not really existing at all—merely an illusion caused by the Sun reflecting off the upper layers of the atmosphere! While Galileo was sanctioned by the church and recanted, Giordano Bruno actually died for his ideas. Giordano Bruno was an Italian philosopher, mathematician and astronomer who not only defended the Copernican model of universe but also argued that the sun was only one sun amongst many others that existed in the space. He believed that there were many other worlds and that they were also inhabited. He was deeply influenced by Hermeticism and Neoplatonism and therefore he argued that the soul incarnates many times in different bodies in order to evolve and that human life could continue in different planets as well as having its origin in other globes, due to a process known as transmigration of the soul. He interpreted the Bible according to the Hermetic knowledge and argued that certain concepts such as the virginity of Mary, the Trinity and the Transubstantiation had a symbolic meaning that was different from what it was regularly taught. Giordano Bruno was declared guilty of heresy and blasphemy and he was burnt at the stake in 1600. Thanks very much. I'm a much bigger fan of Bruno, who is vastly underrated, than I am of Galileo, who is vastly overrated. I did a post about Bruno last year - The man who invented aliens.